Ready for a challenge? The 1820 election was virtually uncontested, as the nation’s relative harmony, and the decline of the Federalist Party, made us virtually a one-party state for a short period of time. As such, James Monroe’s near unanimity was all but guaranteed. 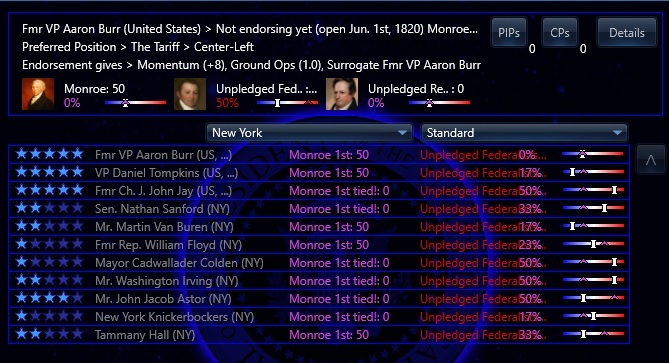 Despite the support for Monroe, voters were really diseffected with Monroe’s presidency and with politics in general. 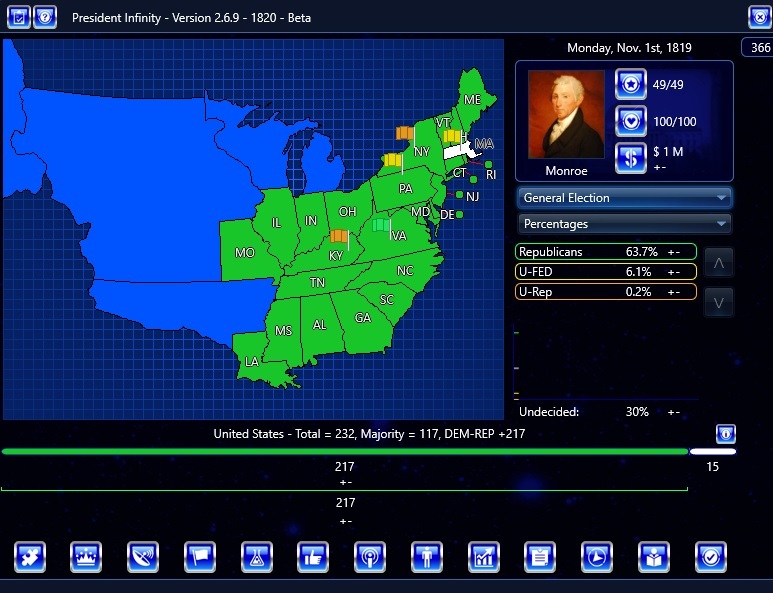 This springs primarily from a lack of competition in the last few election, and no competition in 1820. Although, Monroe’s unwillingness to support modernization was quickly alienating many voters, especially in the North. Additionally, he was disappointed the more conservative voters in the South. 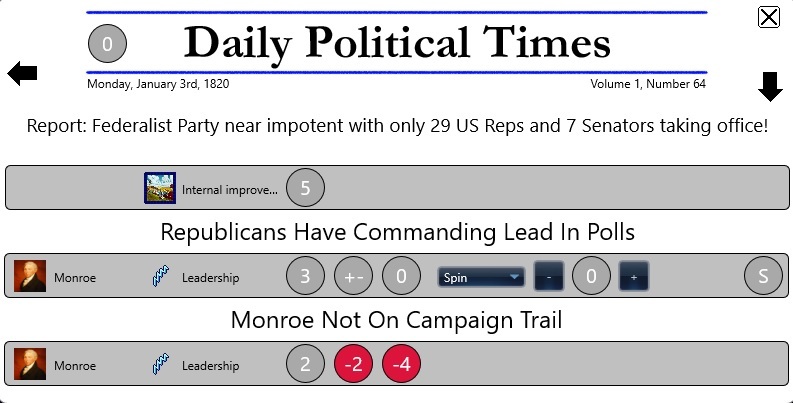 As expected, Monroe won every state in a landslide. However, about 20% of the population voted against Monroe, with New York Governor DeWitt Clinton as the leading default candidate. Clinton had previously been a fusion candidate for an alliance between Federalists and Republicans (sometimes called Democratic-Republicans) favoring internal improvements and a national bank. One elector voted for John Quincy Adams, depriving Monroe of a unanimous victory.